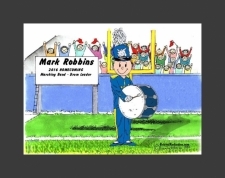 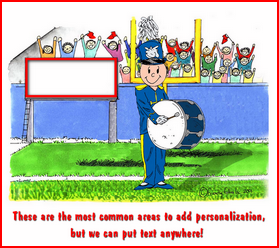 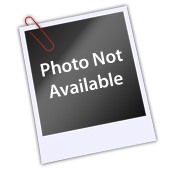 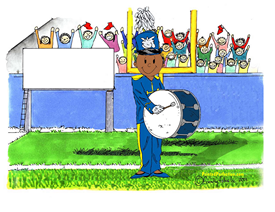 Personalized Friendly Folks "Stick Figure" Cartoon Scene of Bass Drum player - Marching Band. 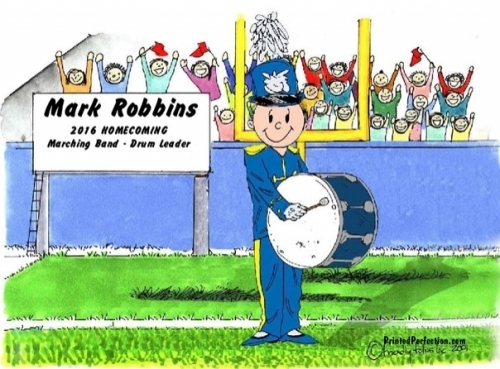 Include his name or other information to make this caricature extra special. 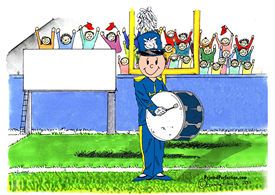 It will be a keepsake gift for years to come!